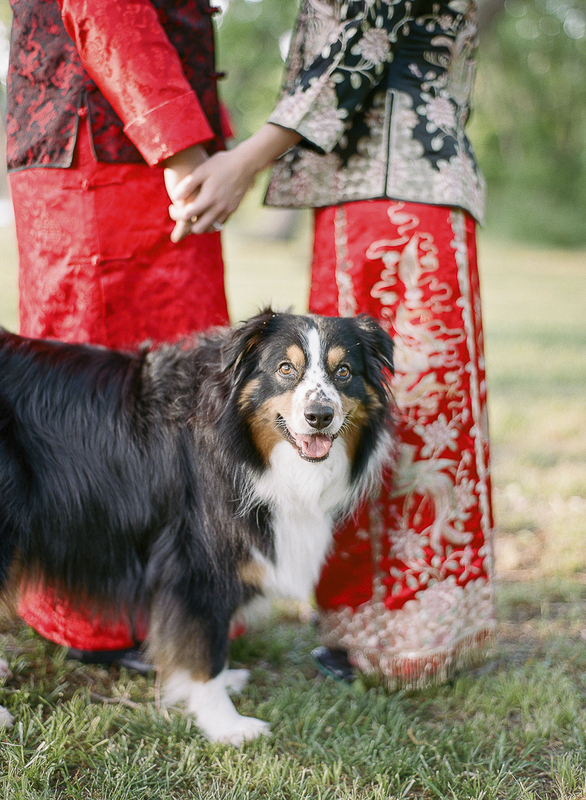 I’m sure it was a given that Bentley, the Australian Shepherd, would be part of the engagement session with destination wedding photographers, The Ganeys. 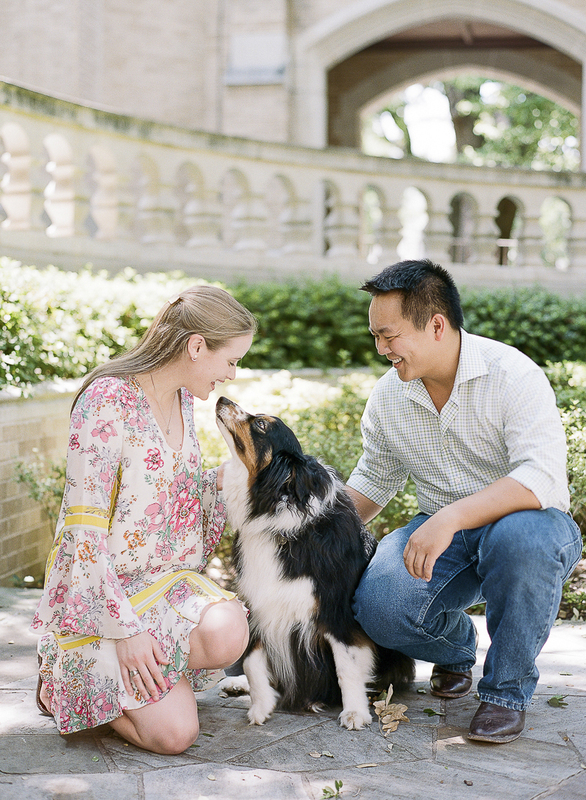 In addition to being incredibly smart, handsome, and friendly, Bentley played a vital role in getting his favorite people together. 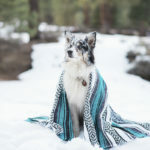 From Emily Ganey: “This photography journey has introduced us to some incredible people – and Emily and Steven are right up at the top of that list. Talk about the most humble, genuine, welcoming couple. 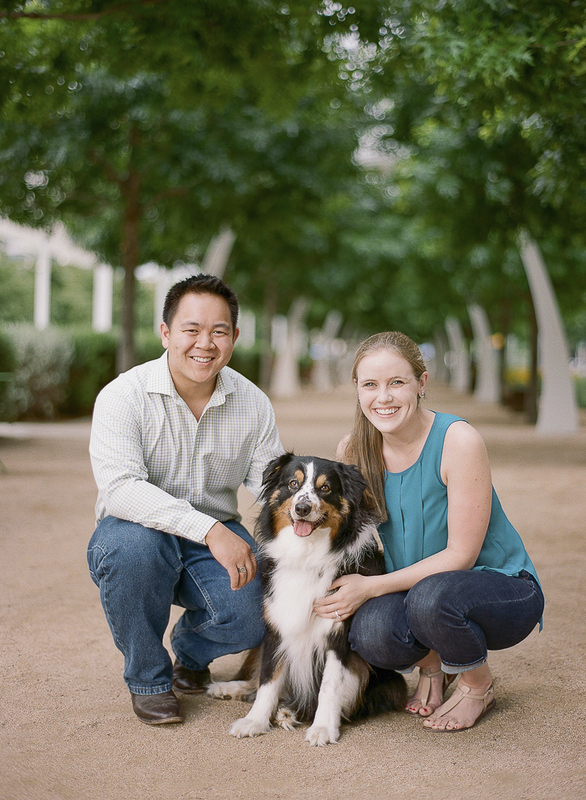 These two treating us like royalty when we visited them in Texas for their Dallas engagement session. Not only did they pick us up from the airport (walked to the ‘welcome area’ with their dog) they also had warm cookies waiting for us, made us coffee in the morning, let me borrow a book off their shelves that I had been meaning to read, and gifted us a board game! We won the couple jackpot with these two! 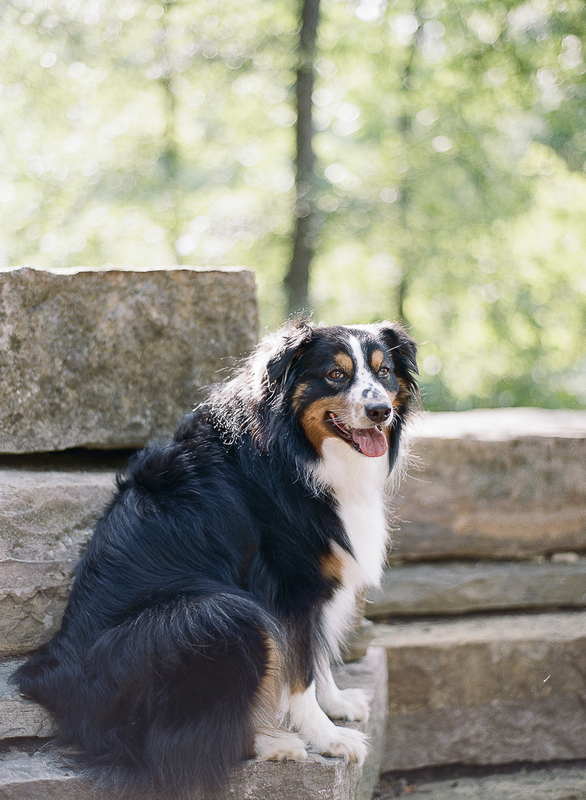 From Emily: “Bentley is a five-year-old Australian Shepherd. 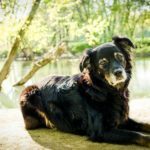 He is extremely friendly and photogenic, but he has been so much more than that for our family and us. He was part of how Steven won my heart. Steven ‘asked me out’ by first asking me to be his dog sitter which quickly turned into him coming home from work to see both of us anyway. He is universally loved by all of our friends and family (I think he’s the main reason that people/my students come to visit) and has even converted former non-animal-lovers into Bentley lovers. When we are out of town, there is usually a (good-natured) ‘fight’ over who gets to take care of him. He kisses everyone he meets, especially small children whose faces are right at his level. 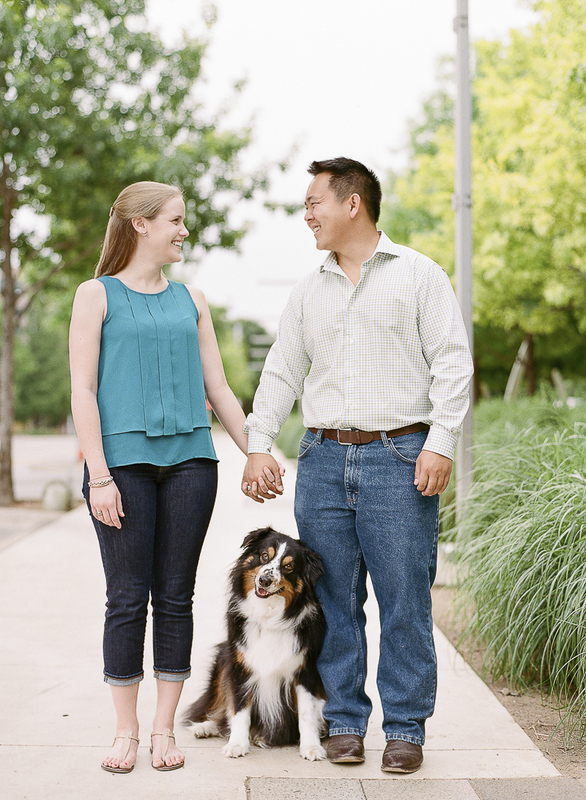 You can see more of this dog-friendly engagement session on the Ganeys’ blog. Follow the Ganeys on Instagram as well as Pinterest! 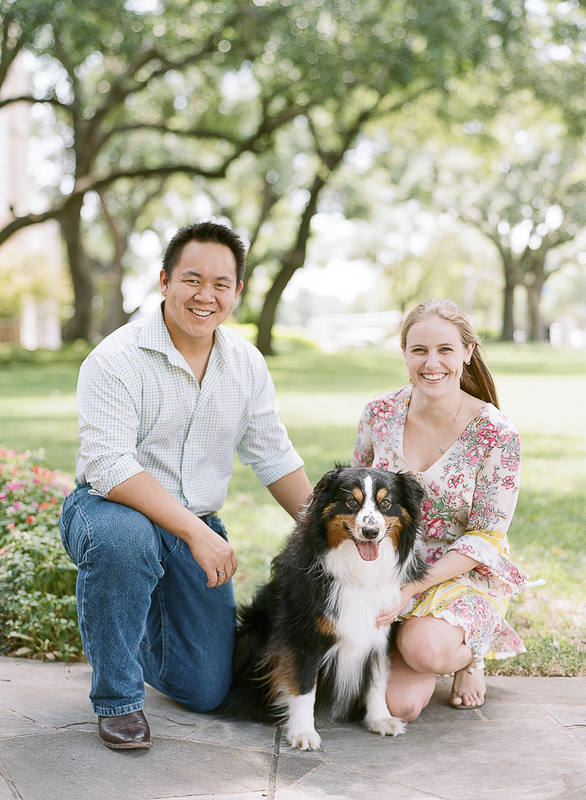 About the Ganeys: Based in Tampa, Florida, the Ganeys are available for destination weddings. Bentley is very handsome and sounds like such a sweet dog. 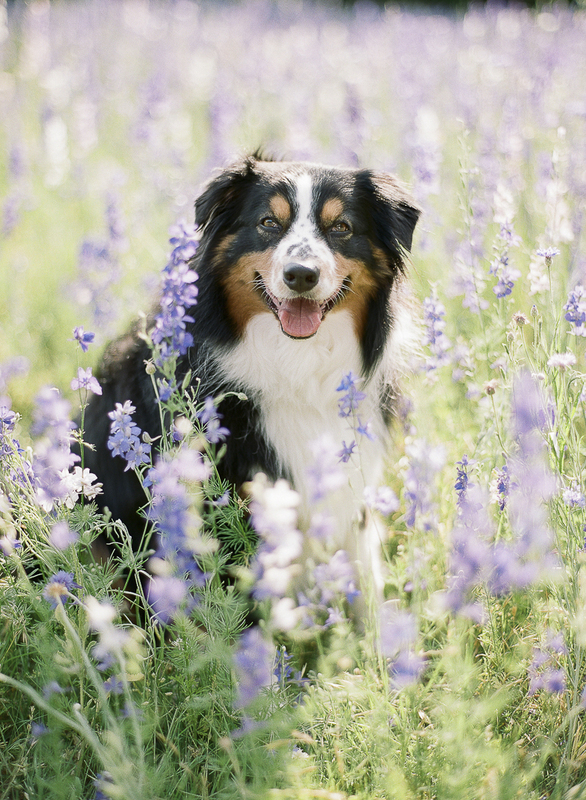 I especially love the picture of him with the field of purple flowers. Beautiful dog and beautiful family!! They sound like such lovely people, and you can feel the love all three of them have for each other. 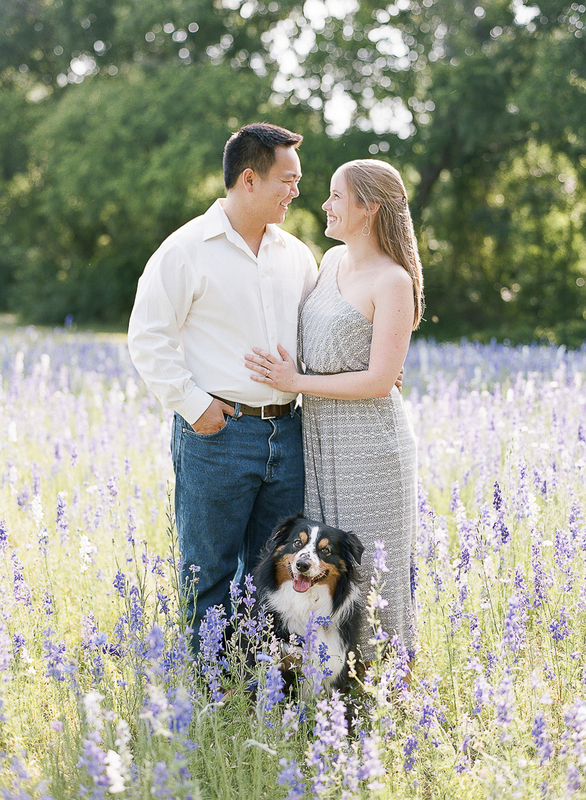 I love that the pup was included in the photo shoot! This is 100% something my partner and I would do as we just love animals so much! I LITERALY CAN’T EVEN. Your pup is just wayyyyy too sweet. <3 oh my gosh. What a beautiful dog and a beautiful family. I can see why people absolutely love Bentley. Bentley is adorable. I love the picture of him looking up at his mom for a kiss. Aussie are cool dogs. First off, what beautiful engagement photos. But Bentley’s expression is so cute in each photo! My favorite one is the three of them in the field of flowers. 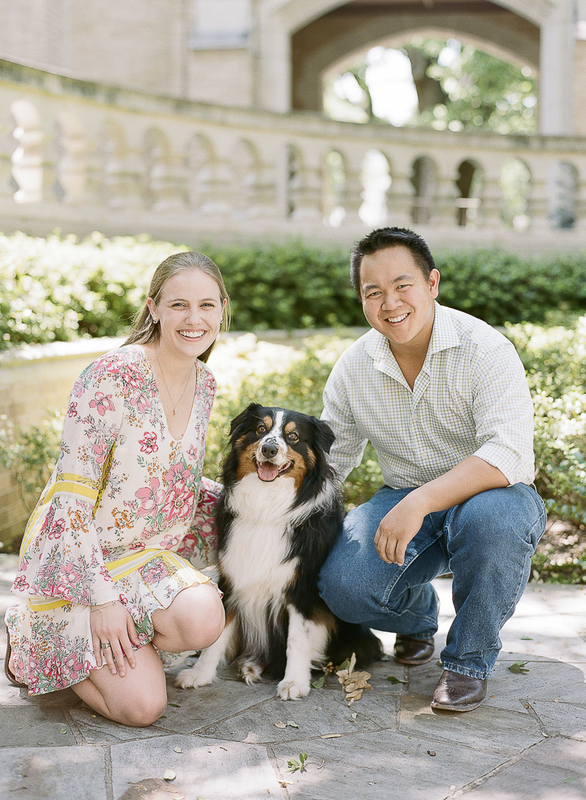 In the first photo of Bentley with his people, his expression totally says, “My work here is done!” He’s leaning against Steven in a cute conspiratorial way that exudes, “Didn’t I tell you the dog sitter angle would work?” Love these photos!